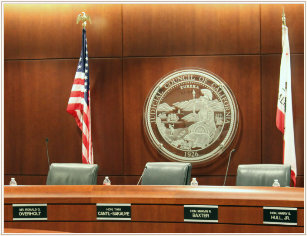 San Francisco—The Judicial Council of California will hold a public business meeting from 11:15 a.m. to 3:50 p.m. on Tuesday, January 24, 2012, in the Judicial Council Conference Center, Hiram Johnson State Office Building, Third Floor, Ronald M. George State Office Complex, 455 Golden Gate Avenue, San Francisco. Chaired by Chief Justice Tani Cantil-Sakauye, the council is the administrative policymaking body of the California courts. A live audiocast will be on the California Courts website. The complete agenda and reports for the meeting are posted on the Judicial Council meetings web page. A summary of the reports to be considered by council members follows. CCMS Due Diligence Process: Judge James Herman, chair of the council’s CCMS Internal Committee, and Justice Terence Bruiniers, chair of the CCMS Executive Committee, will report on the recommendation to suspend the due diligence process during which the council explored a collaboration with the Chan Soon-Shiong Family Foundation and the State Bar of California on deploying the California Court Case Management System (CCMS) and other technology activities. Contract Report: The council will also consider the first semiannual Judicial Branch report on contracts, as required by recent law. These reports, to be submitted to the Joint Legislative Budget Committee and the State Auditor, list contracts between vendors or contractors and judicial branch entities, as well as vendors or contractors receiving payments from judicial branch entities. Consent Agenda: Ten proposals are on the consent agenda, most concerning changes to rules and forms as required by recently enacted legislation or otherwise recommended by council advisory committees. Another report discusses allocating and disbursing to court and county collections programs $500,000 received from the California State Department of Finance.